Hosting a dinner party, planning a wedding, or catering an event? 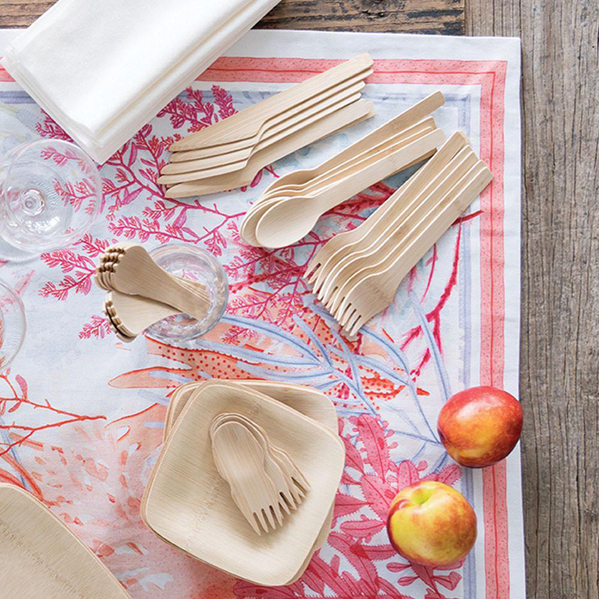 Swap your single-use plastics for naturally disposable dinnerware from bambu. 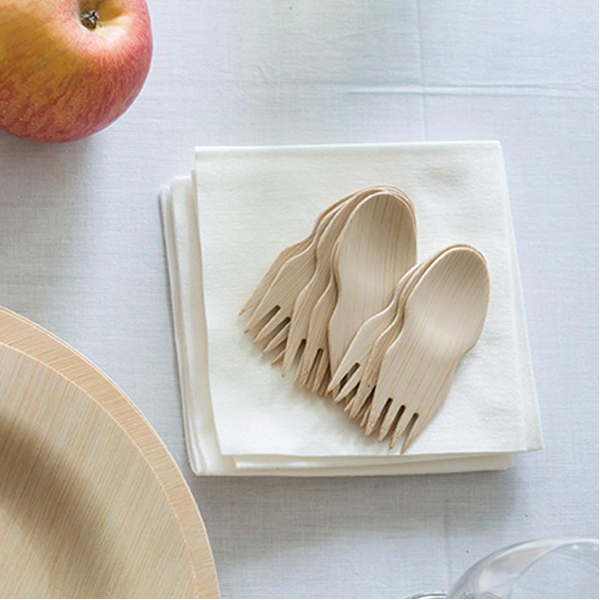 Veneerware Compostable Bamboo Sporks (24pk) are USDA 100% Biobased, FDA food safe, and compost approved; so you can use, reuse, and send it back to nature (not the landfill). 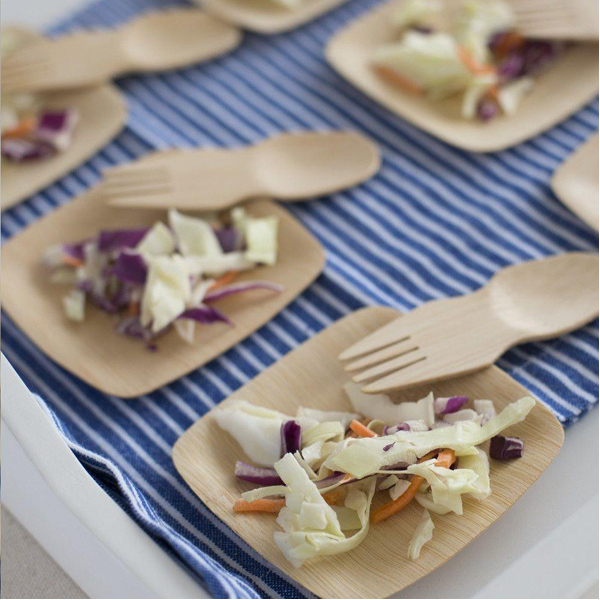 Whether you're sipping a soup, or snacking on a salad, this bamboo dual-action spoon and fork is the non-toxic way to do disposables. 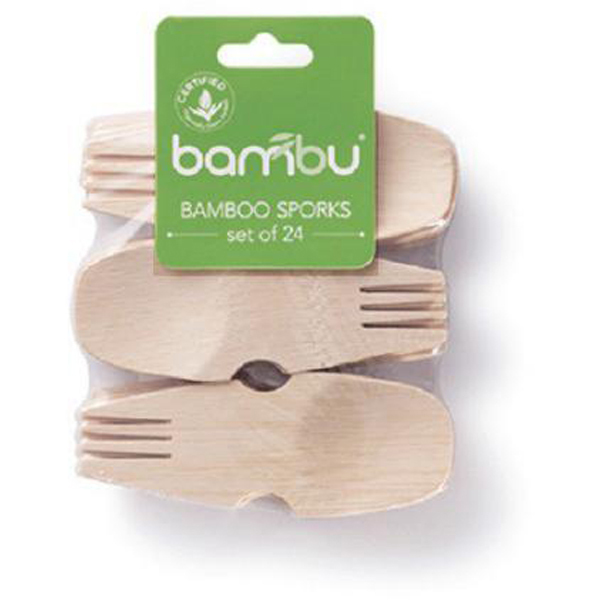 With bambu’s eco-friendly kitchen and home goods, single-use options are out and sustainability is in! bambu is the sustainable, long-lasting, hand crafted, and responsibly-made home goods company that has been transforming the way we see eating, cooking and hosting guests. Looking for heat resistant kitchen ware? How about cooking tools that won’t scratch your beloved pots and pans? 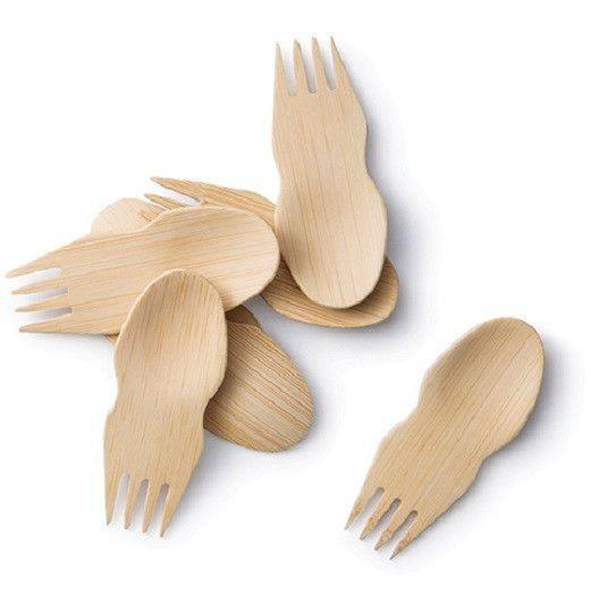 Maybe some biodegradable plates and utensils for picnics or traveling? 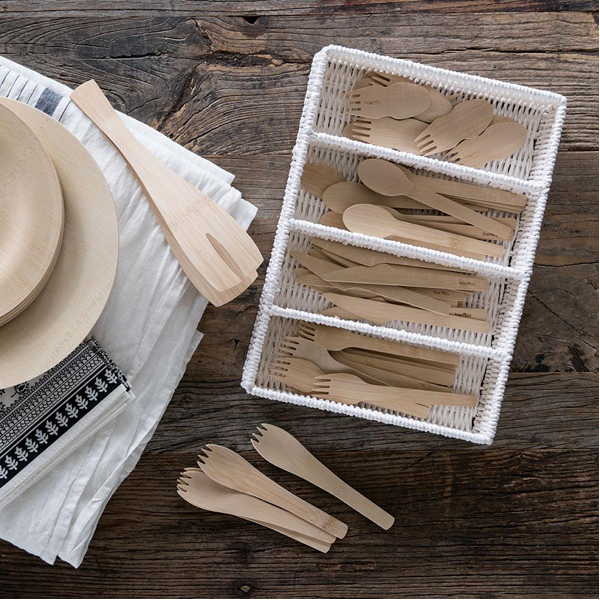 Whether you need compostable forks to use once and toss in the bin, or a cutting board that will last you for years, bambu has the sustainable solution. 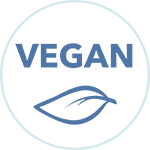 bambu often likes to say that “Everything matters”–and they mean it. From handmade and handcrafted designs, to local materials sourcing, and some of the most sustainable materials out there like bamboo, hemp, and organic cotton, bambu is dedicated to sharing their affordable, earth-friendly products with the world. While it’s been several years since bambu was created, their small production and development team continues to make innovative, earth-conscious products that we’re proud to share with you.